Major ports like Chennai, Paradip and Vizag would have major logistics parks to handle the freight. PANAJI: The Shipping Ministry has decided to transport liquid cargo like LNG, LPG, methanol, CNG and edible oils by waterways and railways instead of roads, and will focus on creating infrastructure for it, Union Road Transport and Highways and Shipping Minister Nitin Gadkari said on Tuesday. Gadkari, who was here to conduct a review of all works related to major ports in the country, said: "At the meeting, we decided to focus on creation of liquid cargo handling infrastructure." A study would be conducted to understand liquid cargo handling logistics, he added. Also, major ports like Chennai, Paradip and Vizag would have major logistics parks to handle the freight. The country, Gadkari said, imports liquefied natural gas, compressed natural gas, liquefied petroleum gas, methanol as well as 72 per cent edible oil of the edible oil consumed in the country and a large chunk of its transportation is conducted by road, which is environmentally unfriendly. "The oil travels by road. When 10-tonne trucks travel, there is pollution, traffic jams. So we decided that the transportation should happen by rail and in some places by ship," the Minister said. He added that there was also a move to create facilities for handling of fruit and vegetable export through refrigerating containers. 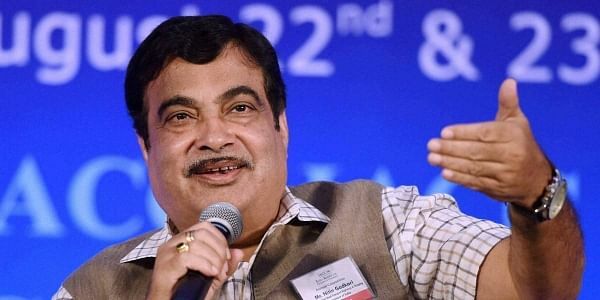 Gadkari said his Ministry will also fund a centre for excellence at IIT-Chennai to study maintenance and dredging requirement for all ports, suggest cost-cutting measures as well as trouble-shoot marine-engineering issues related to seas and rivers in the country. "We decided that a centre of excellence will be established in the Indian Institute of Technology Chennai, for which IIT-Chennai will provide land, for providing technical support. "The department will give a grant Rs 75 crore to Rs 100 crore for creating this centre of excellence. This has been decided at the meeting," he said, adding that the mandate of the centre for excellence would also be to study and advise on marine engineering-related matters to the Ministry.